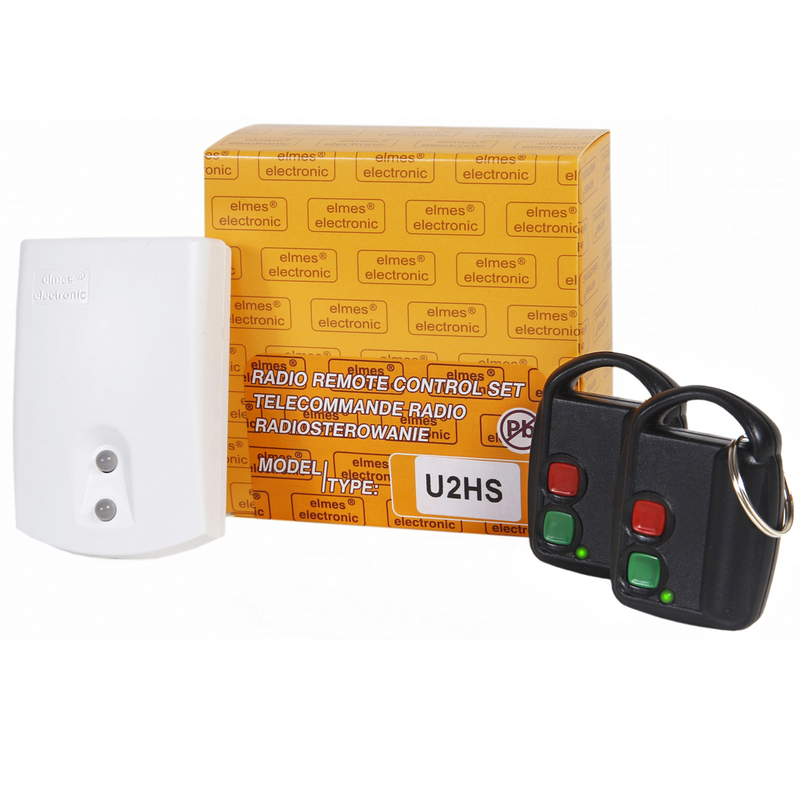 The U2HS set consists of one two channel receiver U2HR and two keyfob transmitters DWB100HT. 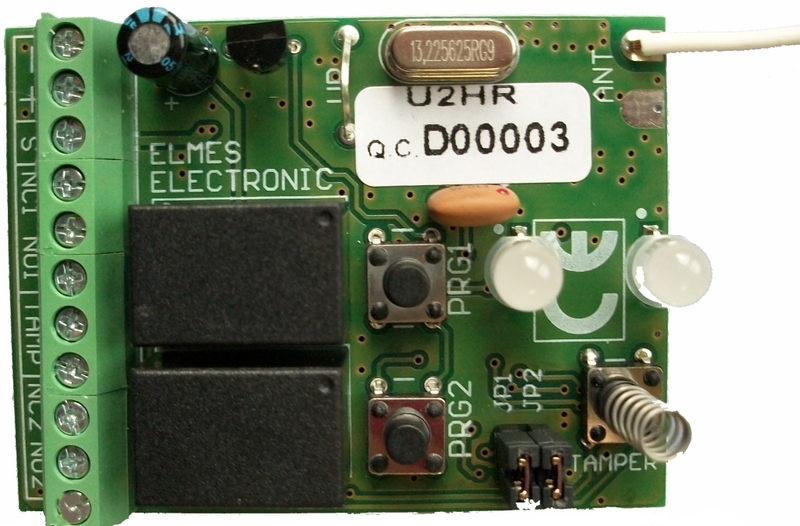 The U2HR superheterodyne receiver features excellent sensitivity and selectivity and complies with latest EU relevant standards concerning SRD (Short Range Devices) of remote control products. 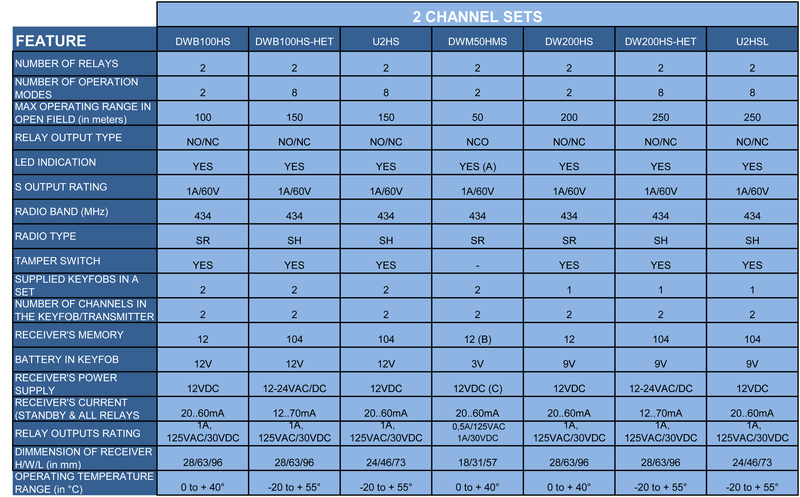 While U2HR receiver is a continuation of our two channel outputs series receiver DWB100HR, it offers better operrating range than the older product, much smaller size and a set of new, very useful functions. Receiver’s basic outputs operation modes. Key fob button sets on output for programmed time lapse. Next use of the same button, while the output is set on, prolongs time lapse. 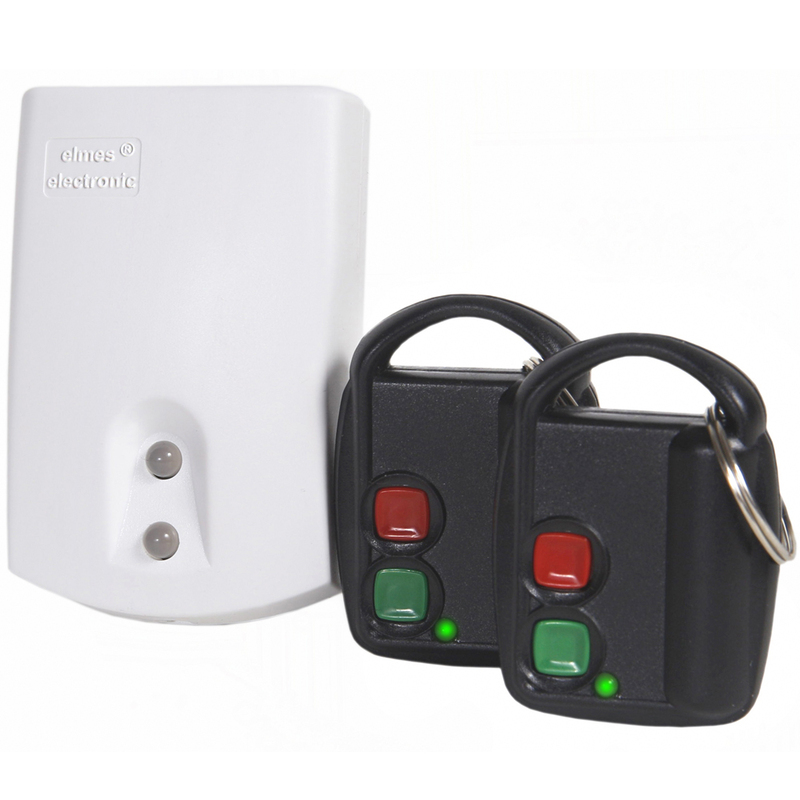 Key fob button alternately sets receiver’s output on and off. Key fob button sets on receiver’s output for programmed time lapse and can set the output off when used second time while the output is still in time lapse. Key fob button sets output on/off alternately (as mode 2 above) however, when one output is set on the other cannot be set on too. Same mode as 3 above however, when one output is set on the other cannot be set on too. Receiver’s output is set on for as long as key fob button is pressed. One key fob button sets output on while other button sets output off. receiver’s external dimmensions: (L/W/D) 73/46/24mm.